Theatre Under The Stars today announced the six shows that will be offered in their 2019/20 season at the Hobby Center for the Performing Arts: A Chorus Line, Spring Awakening, Elf – The Musical, Disney’s Newsies, the premiere of the new musical Pure Country, and the national tour of the Tony Award® winner for Best Revival of a Musical, Once On This Island. Season subscriptions start at just $195 for the six-show series and are now available here or by calling 713-558-8887. Individual tickets for each show will be available to the general public on Monday, July 15. The singular sensation that is A Chorus Line opened on Broadway in 1975 and was an instant classic. This incisive portrait of the life of the Broadway dancer received nine Tony Awards® as well as the 1976 Pulitzer Prize for Drama. It went on to become one of the longest-running shows in Broadway history. 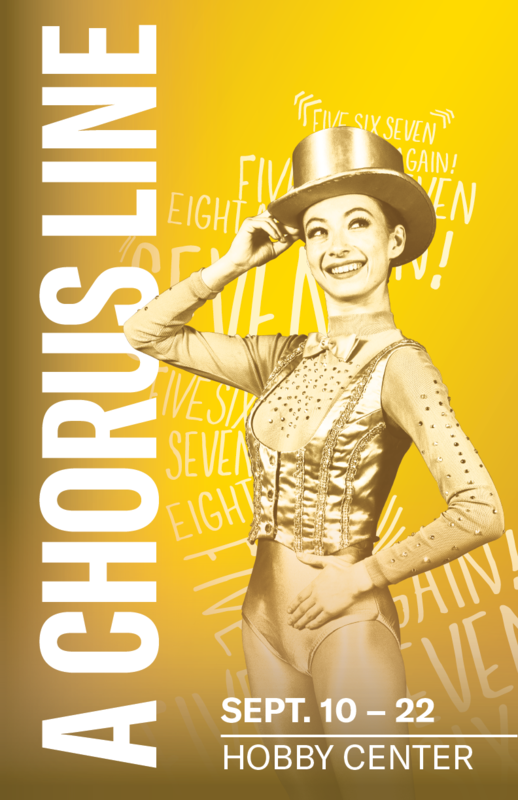 A brilliantly complex fusion of song, dance, and compellingly authentic drama, A Chorus Line is the musical for everyone who’s ever had a dream and put it all on the line. A Chorus Line is conceived and originally directed and choreographed by Michael Bennett, with book by James Kirkwood and Nicholas Dante, music by Marvin Hamlisch, lyrics by Edward Keban and co-choreographed by Bob Avian. The TUTS production will be directed by Julie Kramer, with choreography by Jessica Hartman. When it debuted on Broadway, Spring Awakening offered a raw and honest portrayal of youth in revolt, shattering expectations of what musical theatre can be. The show earned eight Tony Awards in 2006, including Best Musical. 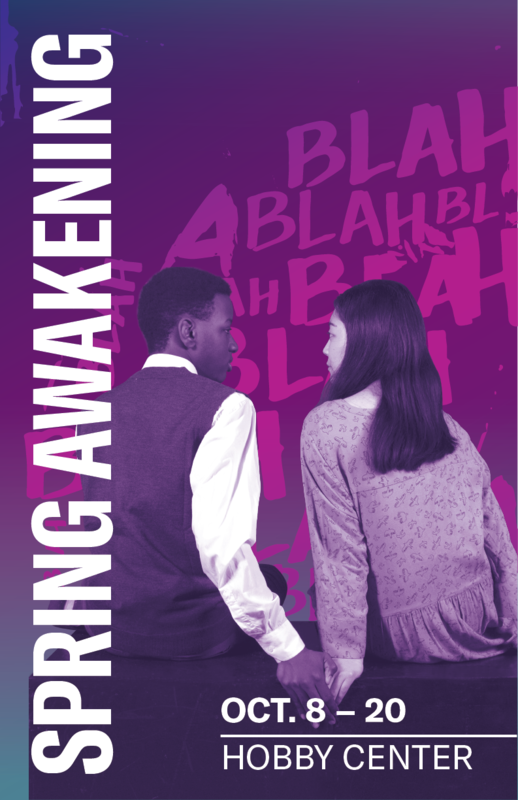 Based on Frank Wedekind’s controversial 1891 expressionist play of the same name and featuring an electrifying alt-rock score, Spring Awakening follows a group of adolescents as they navigate their journey into adulthood with a poignancy and passion that is illuminating and unforgettable. Spring Awakening features a book and lyrics by Steven Sater and music by Duncan Sheik. The production will be directed by Taibi Magar with choreography by Marlana Doyle. This modern day Christmas classic returns to TUTS for the holiday season. 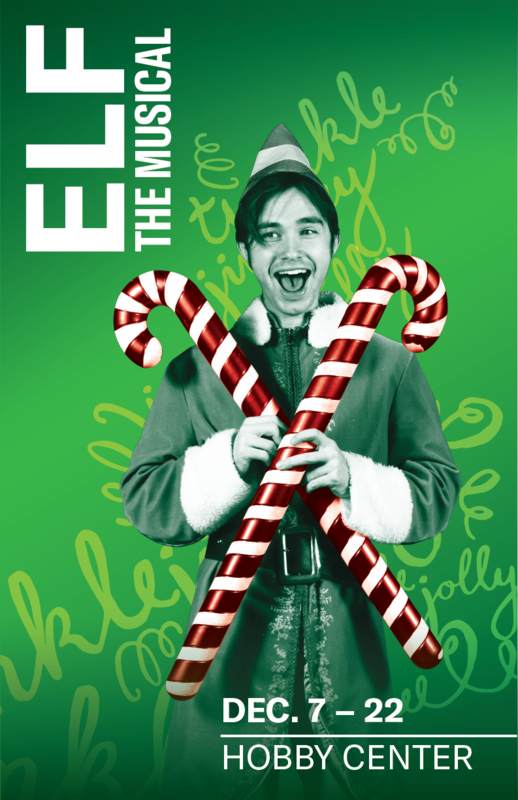 Based on the cherished 2003 movie, Elf – The Musical, tells the story of Buddy, a human accidentally transported to the North Pole as a baby. Unaware that he is actually human, Buddy’s enormous size and poor toy-making abilities cause him to face the truth. With Santa’s permission, Buddy embarks on a journey to New York City to find his birth father, discover his true identity, and help the Big Apple remember the true meaning of Christmas. This warm-hearted musical is sure to make all Houstonians embrace their inner Elf. Elf – The Musical features songs by Tony Award nominees, Matthew Sklar and Chad Beguelin (Disney’s Aladdin, The Wedding Singer), with a book by Tony Award winners, Thomas Meehan (Annie, The Producers, Hairspray) and Bob Martin (The Drowsy Chaperone). The production will be directed and choreographed by Dan Knechtges. TUTS is thrilled to bring the national tour of the 2018 Tony Award for Best Revival of a Musical to the Houston, direct from Broadway. Once On This Island is the sweeping, universal tale of Ti Moune, a fearless peasant girl in search of her place in the world, and ready to risk it all for love. Guided by the mighty island gods, Ti Moune sets out on a remarkable journey to reunite with the man who has captured her heart. Once On This Island is a timeless testament to theater’s unlimited possibilities. The groundbreaking vision of two-time Tony Award nominated director Michael Arden and acclaimed choreographer Camille A. Brown conjures up “a place where magic is possible and beauty is apparent for all to see!” (The Huffington Post). 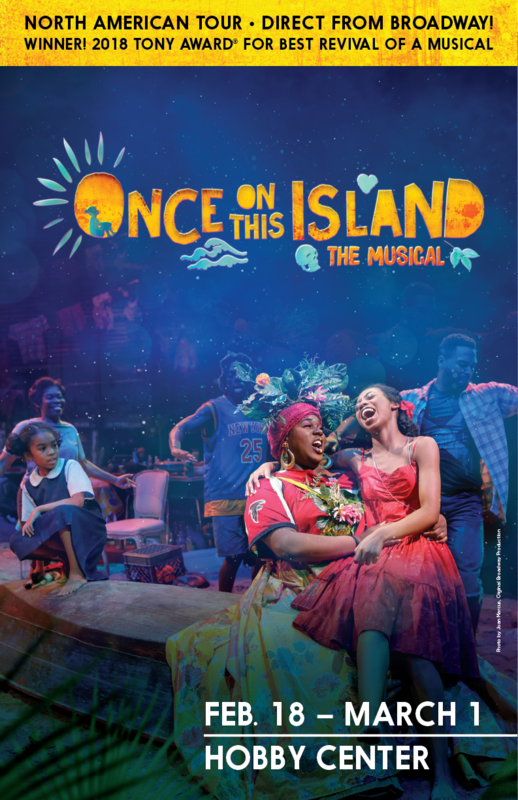 Once On This Island features a score that bursts with life from Lynn Ahrens and Stephen Flaherty, the Tony Award-winning songwriters of Anastasia and Ragtime. 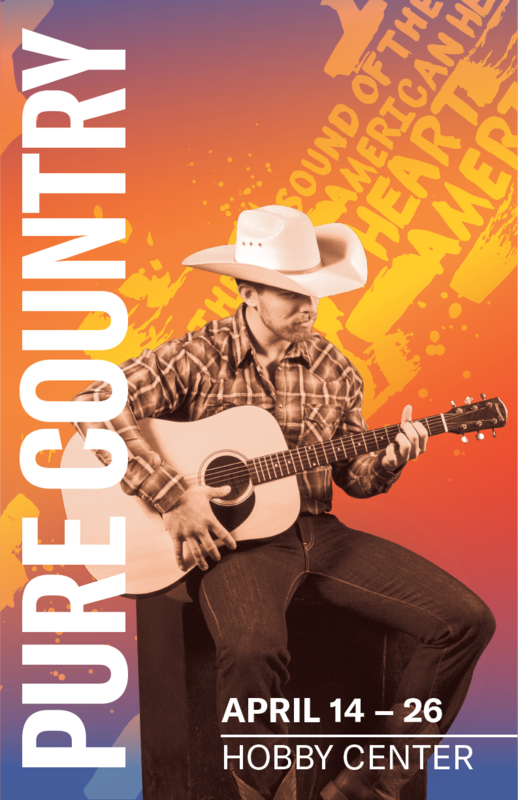 Theatre Under The Stars presents the world premiere professional production of the new musical, Pure Country. Based on the beloved 1992 film starring George Strait, the musical tells the tale of a jaded country music mega-star who suddenly walks away from his successful yet joyless career to return to his Texas roots and rediscover his passion for life, love, and music. Including the chart-topping hits "I Cross My Heart" and “Heartland,” as well as new music written for the stage, this theatrical event is sure to be a hot ticket in the Lone Star State. Pure Country features music by Steve Dorff, lyrics by John Bettis, and book by Rex McGee. The production will be directed and choreographed by Dan Knechtges. They delivered the papers, until they made the headlines. 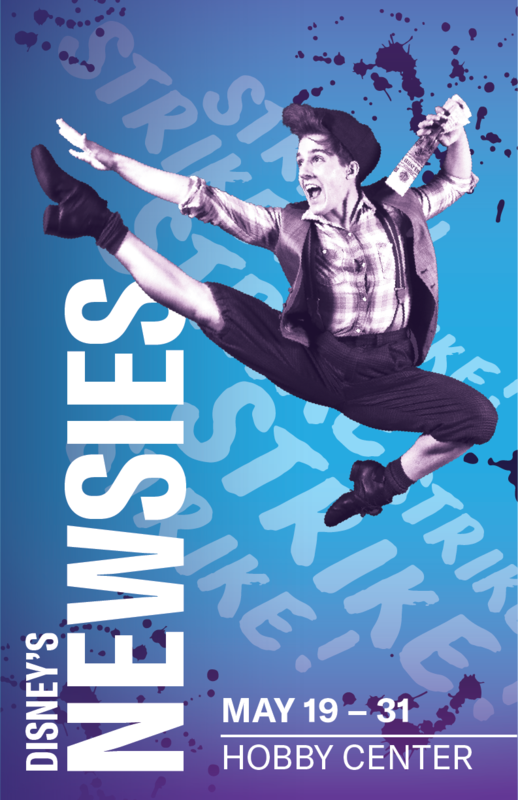 TUTS is excited to bring Houston audience an all new production of Newsies, the smash-hit, crowd-pleasing musical from Disney. A two-time Tony Award-winning show, Newsies has audiences and critics alike calling it “a musical worth singing about!” (The New York Times). Filled with one heart-pounding number after another, it’s a high-energy explosion of song and dance you won’t want to miss. Based on true events, Newsies tells the captivating story of a band of underdogs who become unlikely heroes when they stand up to the most powerful men in New York. It’s a rousing tale about fighting for what’s right… and staying true to who you are. Newsies was brought to the stage by an award-winning creative team. It features a score by Alan Menken and Jack Feldman, with a book by Harvey Fierstein. The production will be directed and choreographed by Chris Bailey, who dazzled TUTS audiences with his production of Disney’s Beauty and the Beast for TUTS 50th Anniversary Season. Theatre Under The Stars is committed to making theatre accessible for everyone. Along with the access team at the Hobby Center for the Performing Arts, TUTS offers American Sign Language interpreted performances, open captioning performances, and audio-described performances for each production of the season. Additionally, each production includes a No Boundaries workshop which provides unique ways to enhance musical theatre for individuals with disabilities. Touch Tours are also offered with each production. These special events offer patrons with visual impairments the opportunity for a tactile exploration of a production. Click here to learn more. OUT@TUTS is Houston’s premiere night out for LGBTQ musical theatre fans. For the 2019/20 Season, OUT@TUTS will take place on the second Thursday evening of each production’s run. Patrons are invited to Diana American Grill after the curtain comes down for free bites, drink specials, and live music. Click here for more information. Theatre Under The Stars is grateful to our 2019/20 Season Sponsors: Children’s Memorial Hermann Hospital, United Airlines, and ABC-13/KTRK. TUTS is supported in part by the City of Houston through the Theater District, the National Endowment for the Arts, and the Texas Commission on the Arts. Pure Country is sponsored by ConocoPhillips.